One of my favorite things about the DNN community is meeting new people and learning about what they’re doing with DNN. I first stumbled across Aaron Lopez a few years ago when he submitted himself for the first DNN Super Fan Contest. Unfortunately, he didn’t win, but his entry was good enough for me to remember who he was. Since then, he has been contributing to the DNN community a lot through twitter. Perhaps other places as well, but that’s where I see him. One day, he announced a new site that their company released and I couldn’t tell it was DNN. I had to learn more. 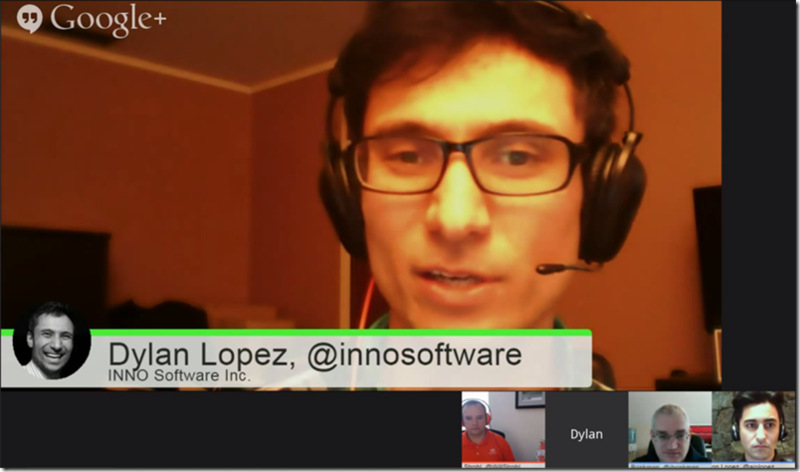 This led to him publishing a blog on the topic and then he and his brother volunteered to come on the show to talk about some of the things they’ve learned with DNN. We’ve just gotten done with the October episode of DNNHangout – this time featuring longtime DNN community member and skin designer, Tracy Wittenkeller. You may or may not have heard of Tracy, but he’s the man behind the team that brings you T-Worx and DNN Magazine. Chance are that you’ve already used or purchase one of his skins at some point. Tracy walks us through some new and exciting techniques that his company is applying to their new skins to help use contemporary design techniques, while at the same time making the content editing experience accessible to the average content editor. From what we could see, he’s taken this a long way to fill in that gap and by using a lot of existing DNN features!